Police in Sussex brought charges of stalking against an anti-hunt activist. The charges were shot down by a jury in less than an hour but the trial has left the woman’s life “unbearable”. An 11 February press release from the Hunt Saboteurs Association (HSA) said employees of the Crawley and Horsham Hunt made accusations of “stalking” against an anti-hunting activist. It said the woman, part of West Sussex Hunt Sabs, was monitoring vans belonging to the hunt from a public right of way at the time. As a result of the accusations, Sussex Police brought charges against her. The Crown Prosecution Service (CPS) authorised two charges of “serious stalking” in January 2018 and the case reached Lewes Crown Court on 4 February. After a five-day trial, however, the jury unanimously found the woman not guilty in less than an hour. The prosecution then applied for a post-acquittal Restraining Order which was rejected by the Judge, stating that she wouldn’t have dreamt of making the order in this case. Lee Moon, spokesperson for the HSA, described the trial as a “waste… of court time”. The HSA noted that Serena Soames was present at the trial. 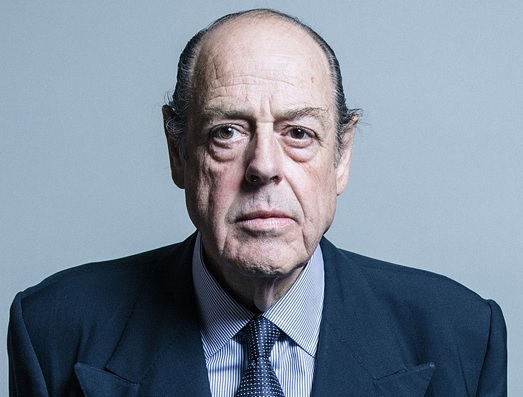 Soames is a director of the Crawley and Horsham Hunt. She’s also the wife of senior Tory MP, Nicholas Soames. As The Canary previously reported, Soames has a long history of using his position to curry pro-hunt favour within parliament and the National Trust. He’s also been seenwith the Crawley and Horsham Hunt. Joint master Kim Richardson was also noted as present. Speaking to the Telegraph in April 2018, Richardson said he and his hunt “do not want to waste” police time. This latest case is reminiscent of a previous trial involving a member of West Midlands Hunt Saboteurs. In April 2018, Cathy Scott was found not guilty on three counts of causing harassment, alarm or distress. The charges were made by staff of the Atherstone Hunt. But the case revealed Leicestershire Police had brought charges to the CPS despite flimsy evidence and false statements by the hunt’s staff. These two cases suggest hunts are attempting to use the legal system to protect their activities. They appear willing to do this even if it ruins the lives of monitors and saboteurs. And this tactic is yet another reason so many people are against hunts and what they stand for. This entry was posted in Uncategorized and tagged fox, hunt, nicholas, soames. Bookmark the permalink.